This road should only be attempted with high ground clearance vehicles. There was a ford not far from the intersection which has been graded but the road is still narrow and turn arounds are limited. It starts at an old cattle grid at the intersection with Tucker Grade and dead ends at about Road 10 where the grade just stops. High ground clearance vehicles should have no problem with this road. There are two other drainage crossing which are in good condition and have small ponds associated with them which are good places for Herons and Egrets. Shortly after the start of this section, there is an interesting site. 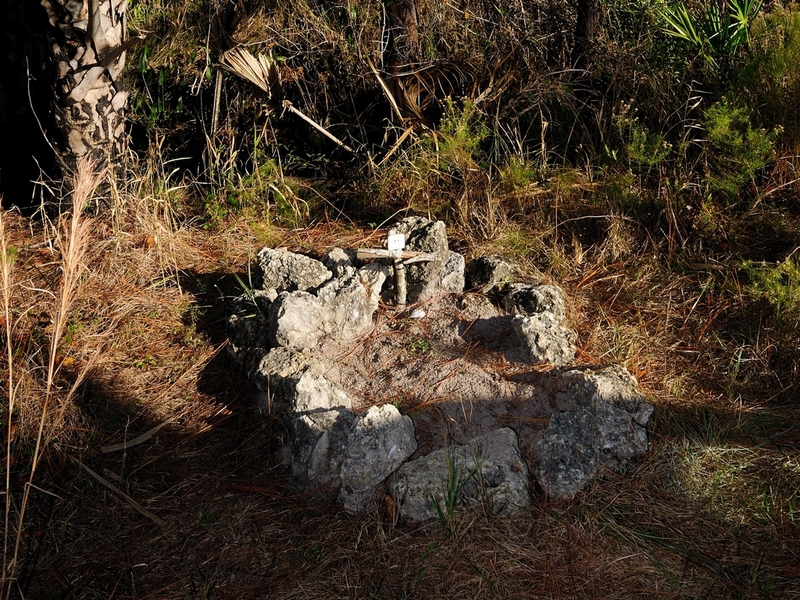 It’s a grave for a hunting dog. This appeared a couple of years ago and while the handprinted notes which showed the love for the dog are gone and the nametag on the cross has faded away, the area somehow remains clear of debris. The road is sandy but firm now that they have removed the first fording. This is an old grade with mature trees reinforcing the edges. 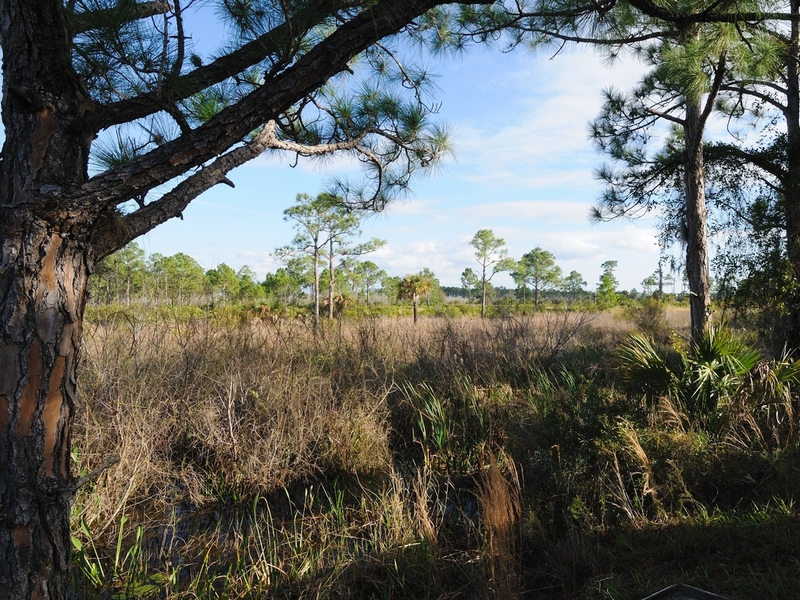 Beyond those trees you will find pine flatwoods and marshland. 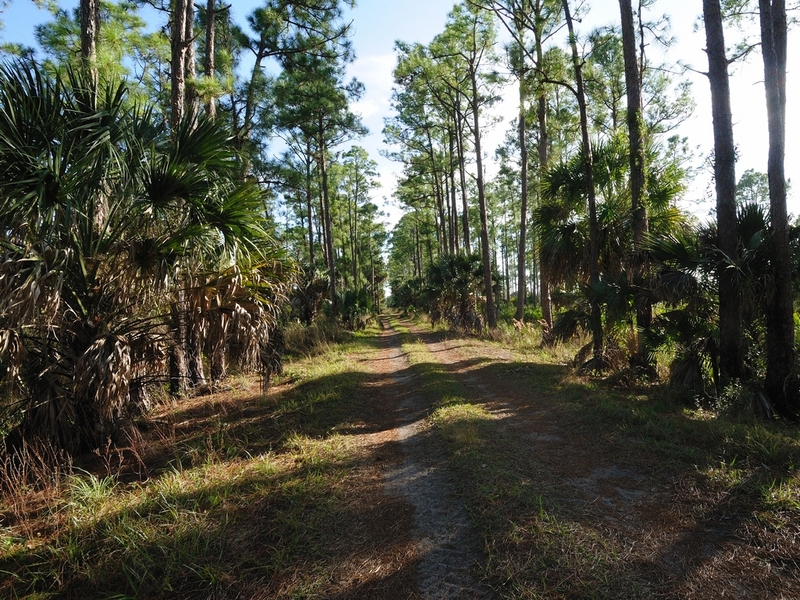 It is possible to drive a standard car here but in some places the ruts are deep enough to cause bottoming and the saw palmetto between the trees can scratch if you ride the ridges. The drainage canal is on the left side of the road heading away from Tucker Grade. It’s a good place to look for Gators when full. Ultimately, the grade just ends. The last time I was there there were a lot of commercial beehives at the end of the grade. It is possible to go further in a high clearance fourwheel drive vehicle but the least amount of rain can turn the ground very soft. Nice post. I love “The Webb” any time of the year!